Rodrigo is the Founding Partner of the New Ventures Mexico. Following its mission of transforming the private sector into one that generates triple bottom line, Rodrigo has been instrumental into the development of the Impact Investing Industry. New Ventures is an organization that catalyzes the growth of green and social enterprises. New Ventures combines a diverse set of technical assistance and acceleration services with Adobe Capital, its equity and mezzanine finance arm. Rodrigo was also the founder of Las Paginas Verdes the Ecofest and the FLII (Latin America Impact Investing Forum). 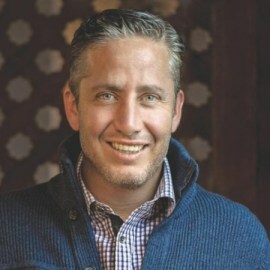 As an Ashoka Fellow, Rodrigo is widely recognized as one of the region’s leading figures on social and environmental sustainability, and accordingly received the 2008 UBS Visionaris Social Entrepreneur of the year award and was named one of the 40 leading young CEO’s in Latin America by Latin Trade Magazine. Rodrigo is the Chair of the Mexico Impact Investing Aliance and serves in several boards like the Aspen Network for Developing Entrepreneurs (ANDE), Iniciativa México, and CI Banco. Rodrigo received an MBA from the Royal Melbourne Institute of Technology a Bachelor of Accounting and Financial Management degree from the Tecnologico de Monterrey.